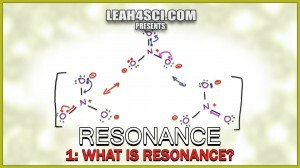 This is Video 1 in the Resonance Structures Video Series. Click HERE for the entire series. dear Leah thanks for yours videos they means all the difference for me. you are helping me to understand organic chem.